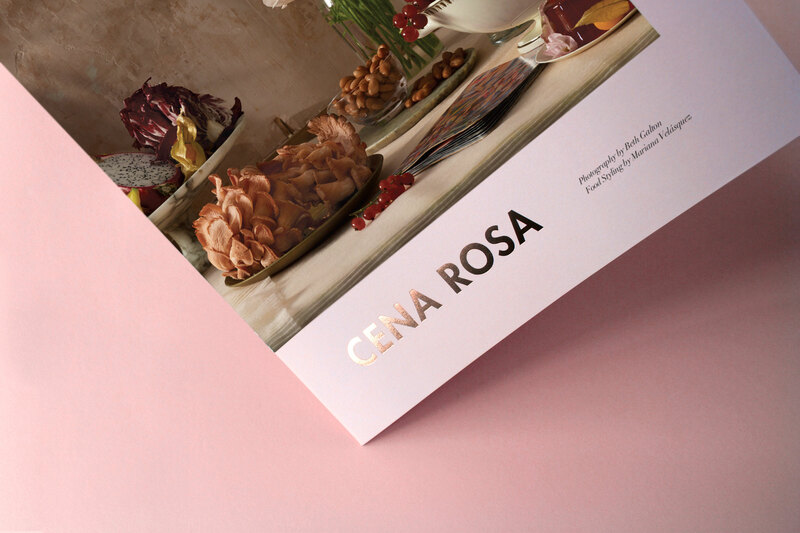 Spanish for ‘Pink Dinner,’ CENA ROSA showcases the photography of Beth Galton and stylist Mariana Velásquez within a multi-page promotional mailer inspired by renowned Mexican architect Luis Barragán. 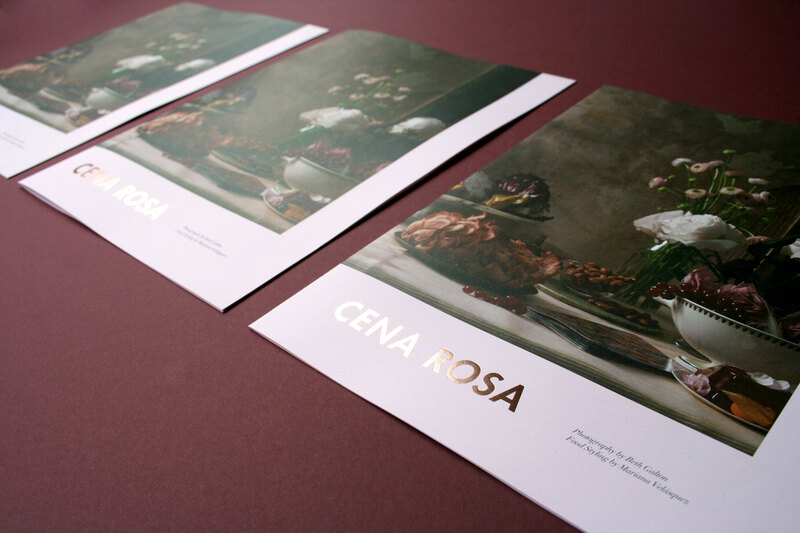 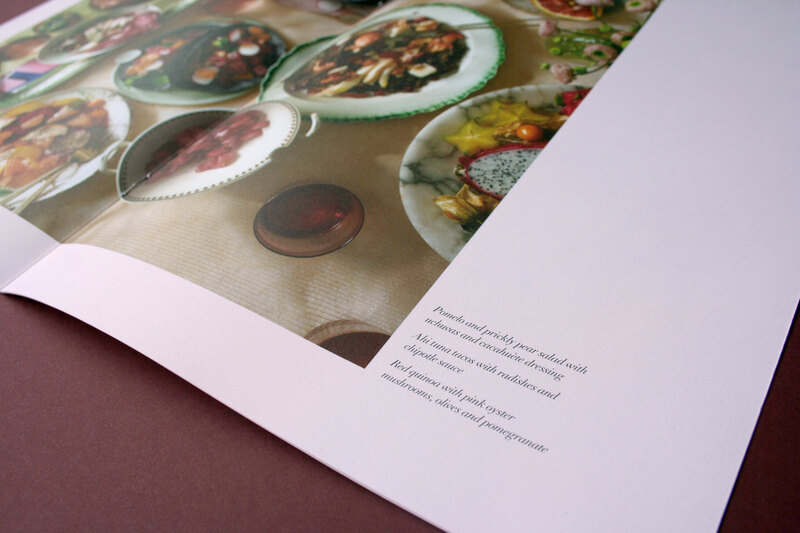 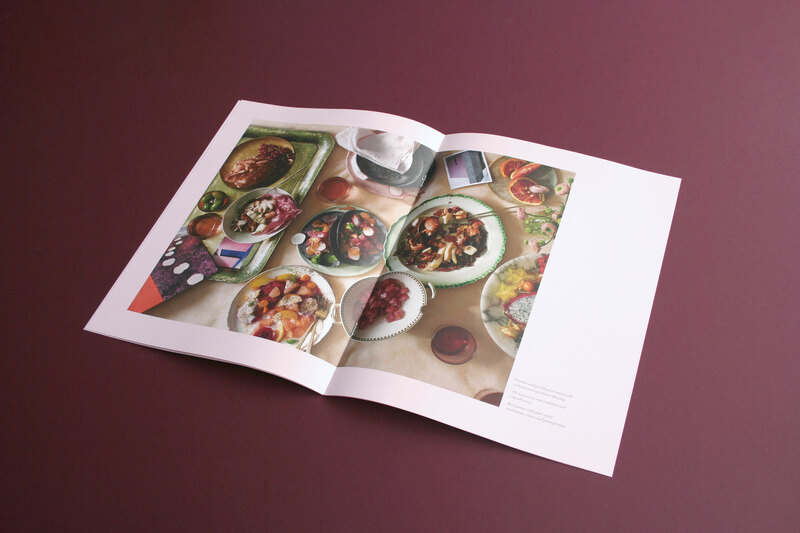 Culinary captions and pink-copper foil play in the large pink spaces, enriching the photography and colorful cuisine. 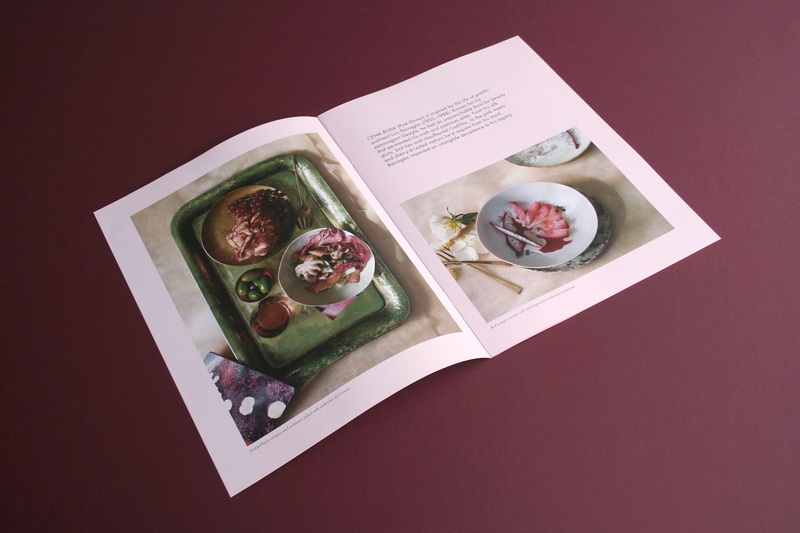 The rich photographs reimagined the pink meals Barragán was said to have eaten in his grandiose, modernist homes throughout Mexico City. 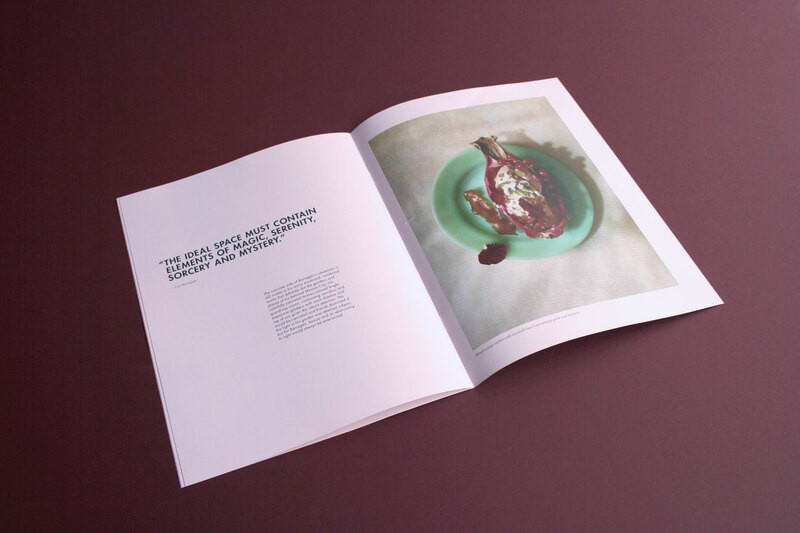 As the piece evolved, so did the story it told. 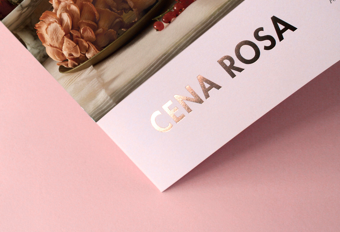 Editorial paragraphs, pull-quotes, and the CENA ROSA name itself emerged after careful research into Barragán’s life.